Vesmont, LC have partnered together to provide Atlanta with the ultimate in luxury living. The home they are constructing on North Stratford Road is impressive in both size and features. 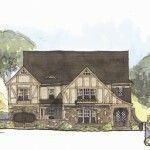 The two-story Fulton County custom home is located on North Stratford Road in the prestigious North Buckhead community. 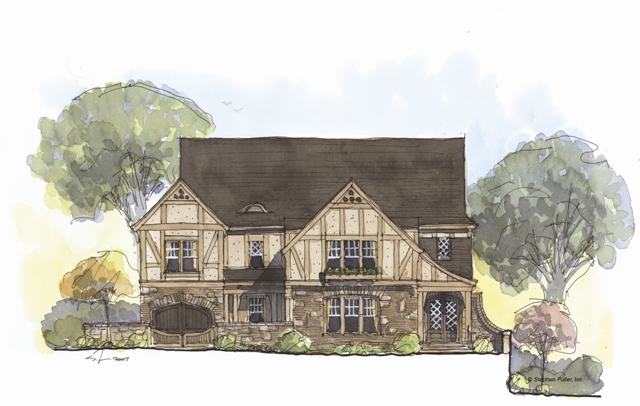 Built in a Tudor-style with unique elevations of stacked stone and cedar, the home will offer 6,699 square feet of living space including a finished daylight basement with a bedroom, full bathroom, walk-in closet, game room, fireplace, kitchen, bar area, home theater or fitness room and a second bathroom with a steam shower. A short elevator ride to the first floor leads to the gourmet kitchen. This state-of-the-art kitchen includes granite countertops, stainless steel appliances, an over-sized center island which includes a sink, serving area and breakfast bar, and a butler’s pantry. Also on the main floor, is the home office that features built-in cabinetry. An expansive great room featuring an architectural beamed 12-foot ceilings, custom-designed hardwood flooring and a 36-inch fireplace, opens onto a covered loggia with an enormous 42-inch gas fired, wood burning fireplace, and a full bar with granite countertops, sink, icemaker and beverage station. The loggia wraps around to meet the open-air grilling porch easily accessible from the keeping room and the breakfast area. This amazing home has five bedrooms and five and one half bathrooms. Each room features a private bathroom and large walk-in closet. The spacious master suite on the top floor features a his and her walk-in closet, a morning kitchen with granite countertops, a fireplace and a private deck overlooking the backyard. In addition, the master bathroom features separated dual vanities and linen closets as well as a separate, frameless steam shower with rain shower head, body spray and three independently controlled shower heads, bench and built-in shelving. contact Vesmont, LC for more information.